Moscow’s Sheremetyevo Airport, Russia’s largest airport, is in the middle of an ownership restructuring process. Several state-owned and private companies are engaged in the process and are reshuffling their stakes in the airport. As a result of several complicated transactions, the government’s share in the airport will be significantly reduced and eventually completely sold off. Two entities; the state-owned Sheremetyevo International Airport, which holds all of the airport’s assets; and a group of investors united under Sheremetyevo Holding, the company that owns and runs several airport-related businesses, such as aircraft refueling, car parking zones, duty free trade, cargo terminal, advertisement on the airport’s territory, etc; are uniting to create a company called simply “Sheremetyevo Airport”. The Sheremetyevo International Airport company will exchange 83% of its shares for 31.56% of shares of the newly-created organization. In turn, the private investors will turn over parts of their shares in the Sheremetyevo Holding businesses to the new company and invest up to 840 million dollars into the renovation of the airport’s terminals and the creation of new aircraft refueling and cargo processing facilities. 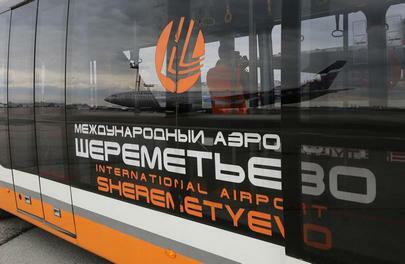 The second stage implies merger of the newly-created Sheremetyevo Airport company with the Sheremetyevo International Airport company. Within the next 25 years, the government may decide to sell its share of the Sheremetyevo International Airport, with private investors having priority purchase rights. As a result, Moscow’s largest airport may be transferred completely to private hands. A similar process is underway at Moscow’s Vnukovo Airport. The third major airport serving Moscow, Domodedovo, is already completely privately owned.